The authenticity of host 'git.jjhh.com (114.112.173.150)' can't be established. RSA key fingerprint is ca:ec:a2:7e:e6:89:ca:19:d3:93:7f:4b:c3:c0:c7:fd. 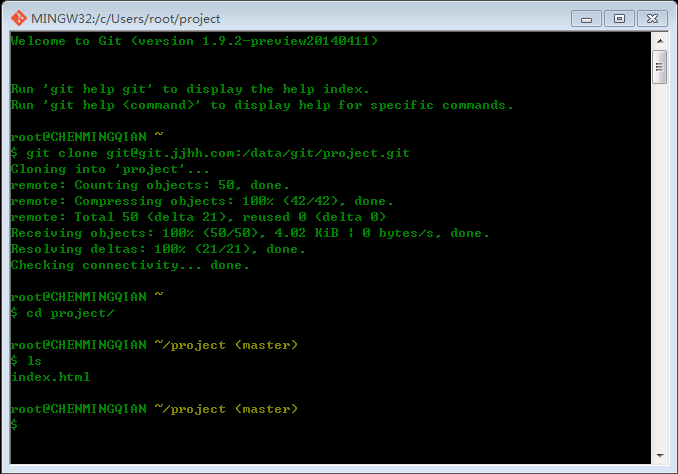 Warning: Permanently added 'git.jjhh.com,114.112.173.150' (RSA) to the list of known hosts. Receiving objects: 100% (50/50), 4.02 KiB, done. Resolving deltas: 100% (21/21), done.